We are very excited to announce Freedom Kitchens will be on air this week on Channel 9’s Today Show. 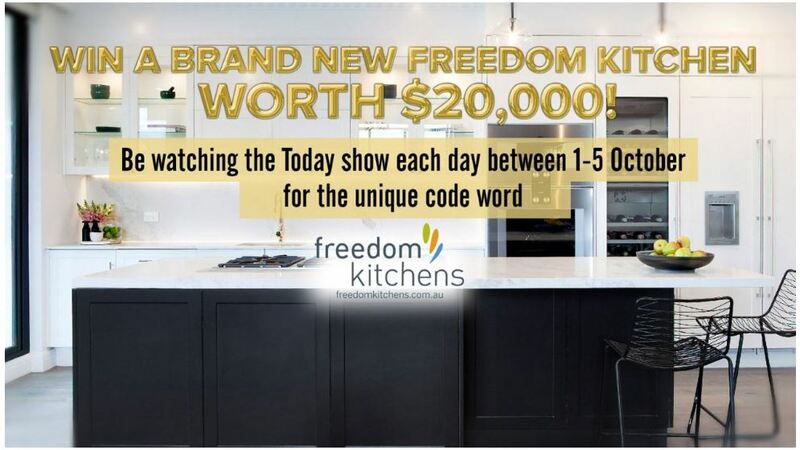 The Today Show and Freedom Kitchens are asking viewers to nominate someone deserving to win a Freedom Kitchen each weekday morning, running from Monday 1st October – Friday 5th October. Feel free to share this news with your family and friends, and get everyone nominating for anyone they know who could benefit from one of our beautiful kitchens. Don’t forget to tune in and keep your eyes peeled for Freedom Kitchens on your screen every weekday morning this week!